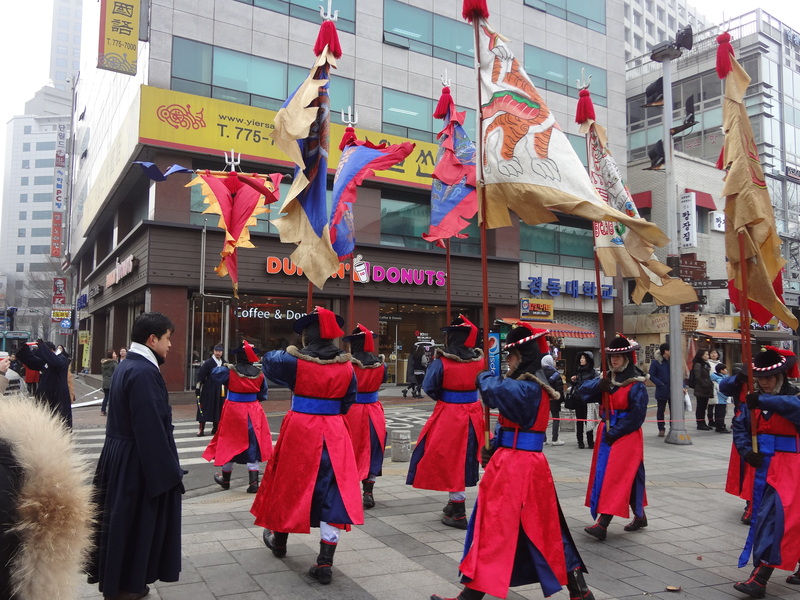 Behold the bizarre awesomeness of palace guards marching past a Dunkin Donuts. 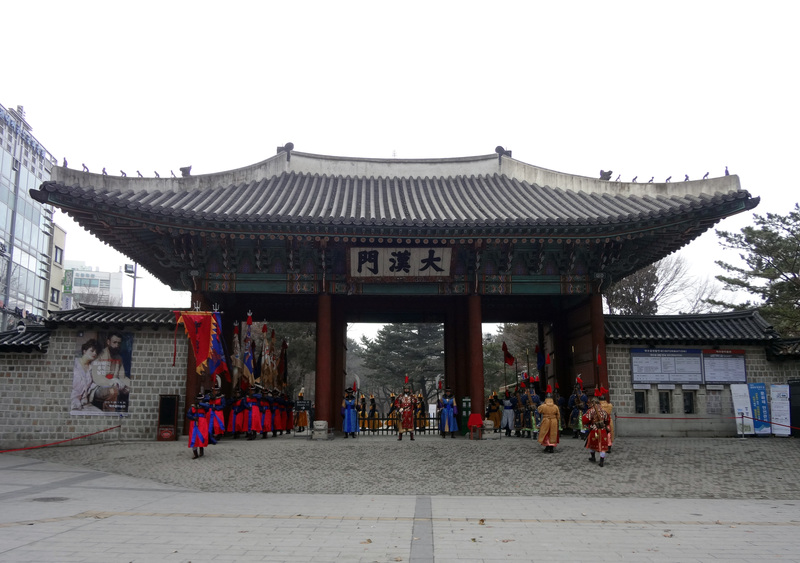 I took this photo during the changing of the guard at Deoksugung, which served as the main palace of the Great Han Empire (1897-1910). It is located in central Seoul. This is one of the many contrasts I’ve seen in South Korea.